This modern Christmas ornament is inspired by the fluent motion of classic dance moves. The intricate, weightless shapes of the snowangels are created using an algorithmic design approach, where an object’s motion is frozen into a static sculpture over time. 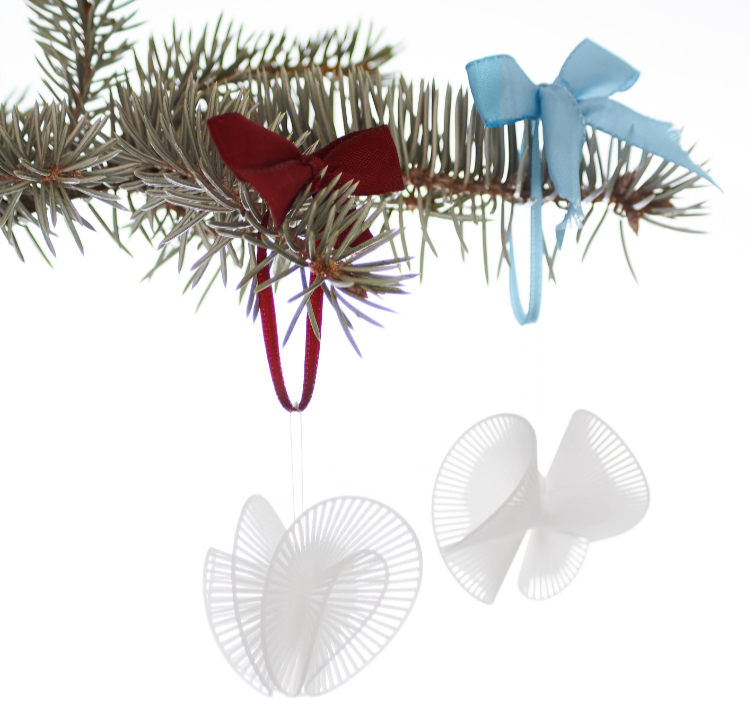 With their resemblance of abstract butterflies the snowangel ornaments are not only suitable as Christmas decoration as originally intended, but will enrich your home all year around with their lightweight appearance. The snowangel ornaments are 3d printed on demand in a strong nylon material, that makes them very durable despite their delicate appearance. > Download the installation instructions here.